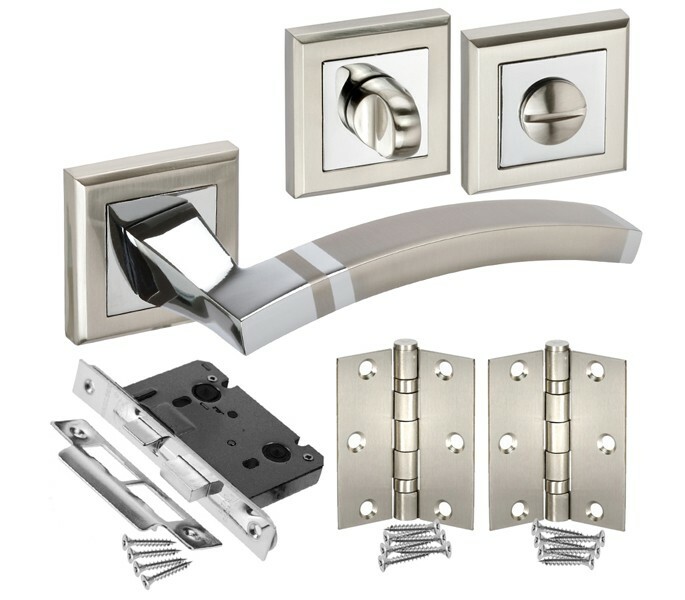 These sleek square rose door handle sets, complete with modern door handles, feature a beautiful arched rectangular lever and coordinating bathroom thumb turn & release, both in a modern duo chrome finish. 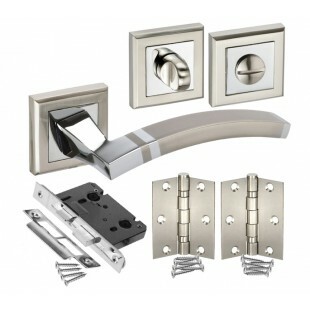 These fabulous handle packs are supplied with a square rose door handle pair, hinge pair, bathroom mortice lock and thumb turn & release ready for fitting to a new door. 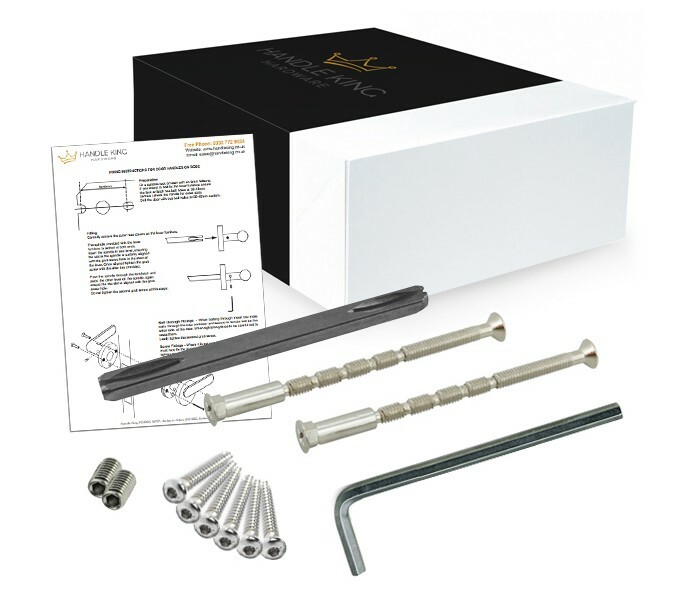 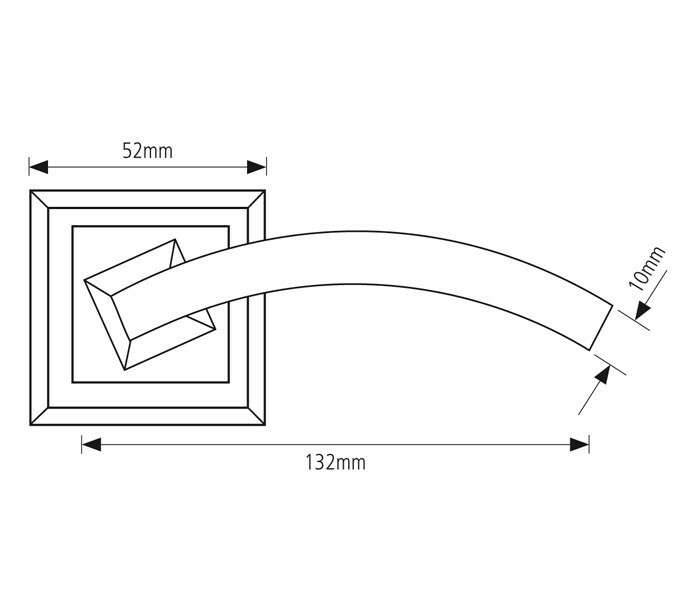 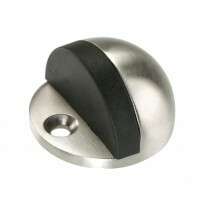 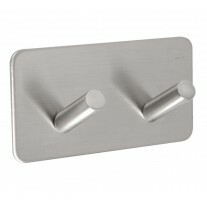 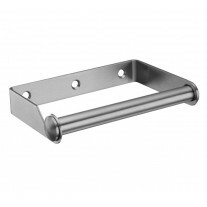 If ordering these handles for an existing door and do not require all of the contents of this handle pack, we do also supply the products enclosed on an individual basis.